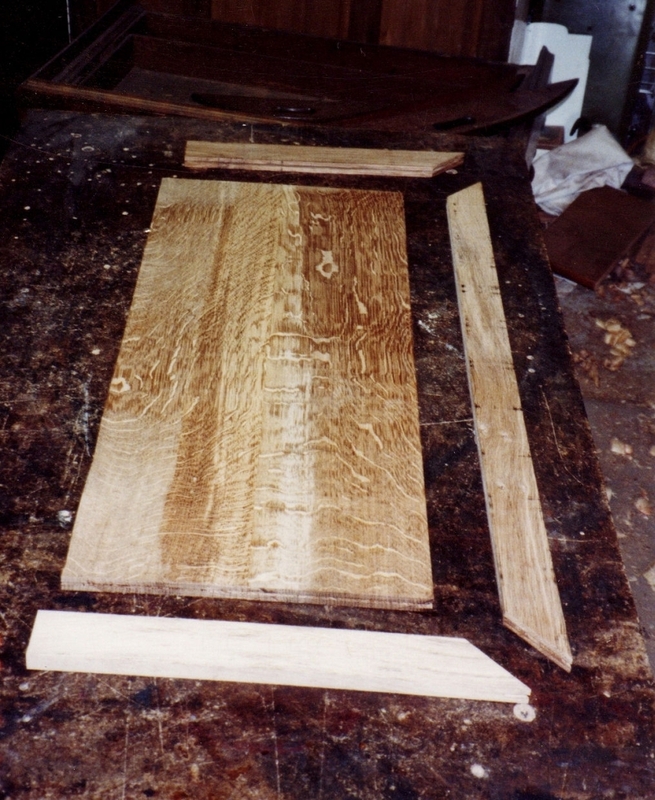 The components of one of the English Oak table leaves. 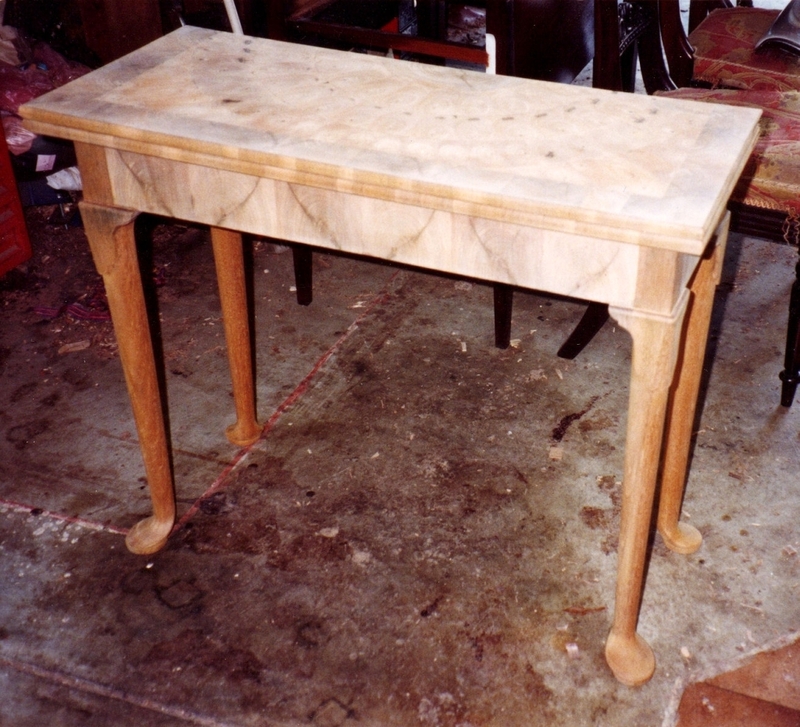 One of the frame rails veneered with Walnut oysters. 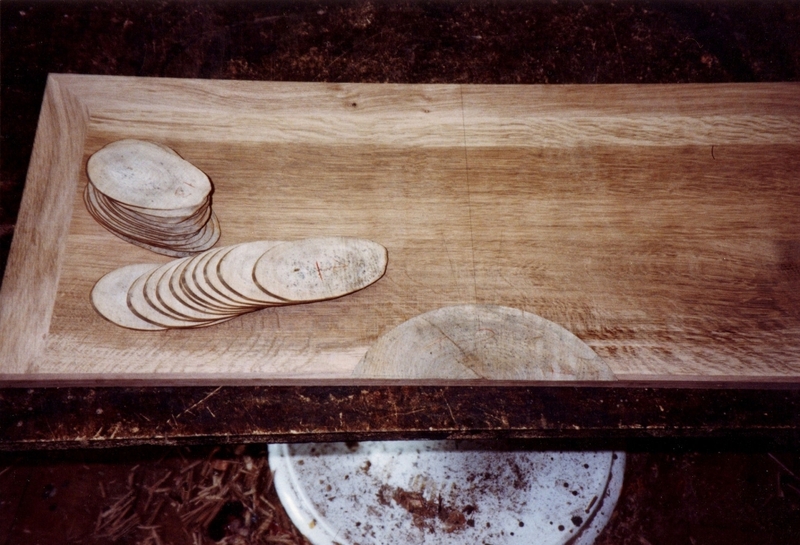 Laying out the oysters on the upper face of the top leaf. 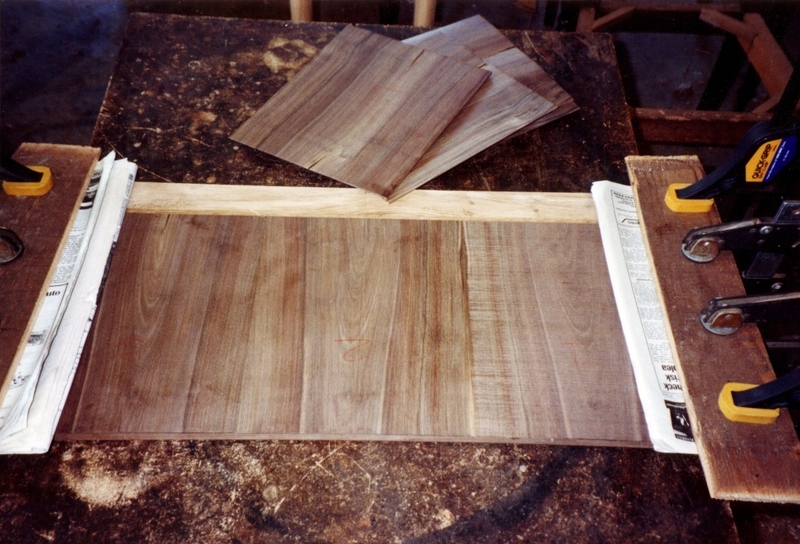 Veneering the lower face of the top leaf. 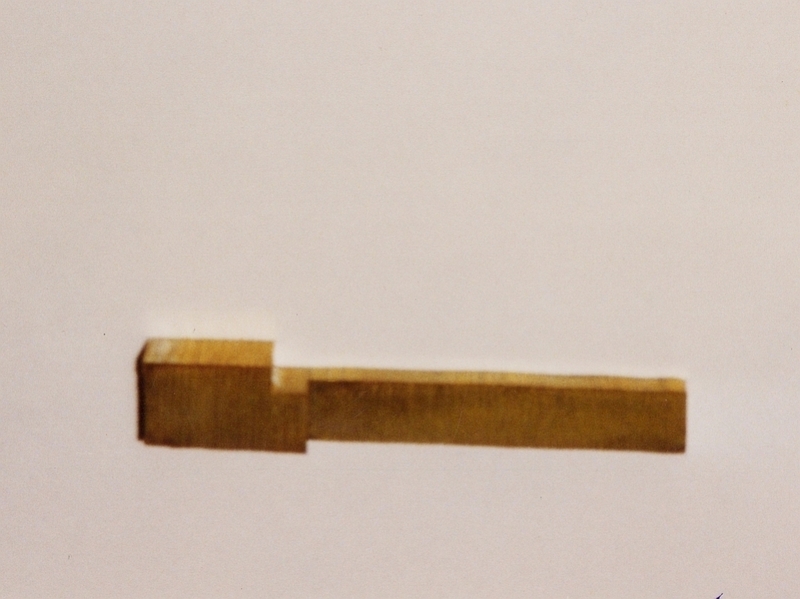 One of the four hinge blanks cut from a cast sheet of authentically alloyed brass. 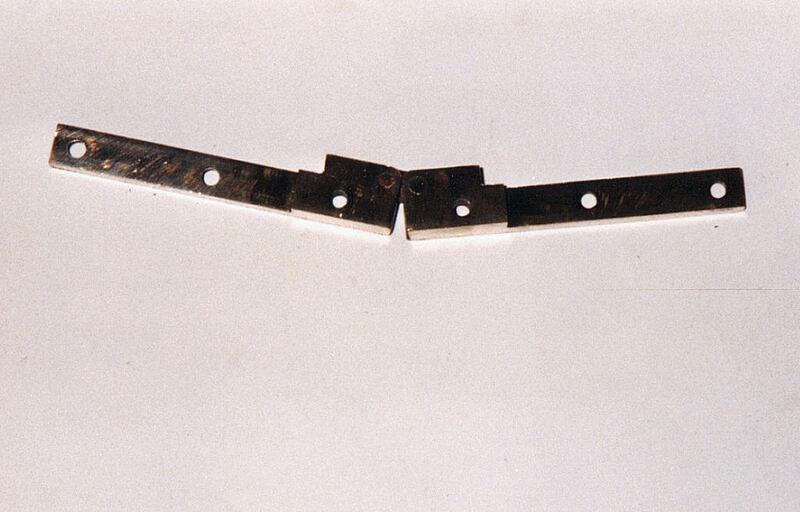 One of the hinges assembled, though requiring final filing, buffing and ageing. 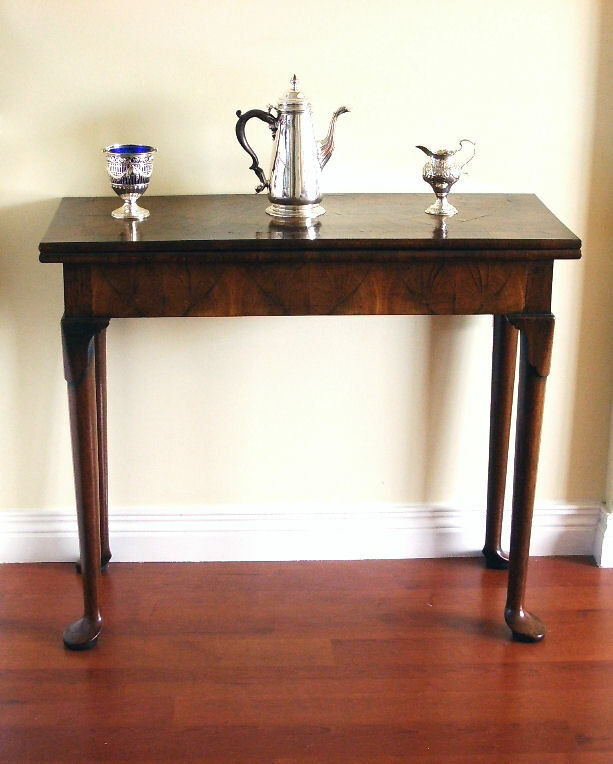 The tea table in-the-white and ready for finishing. 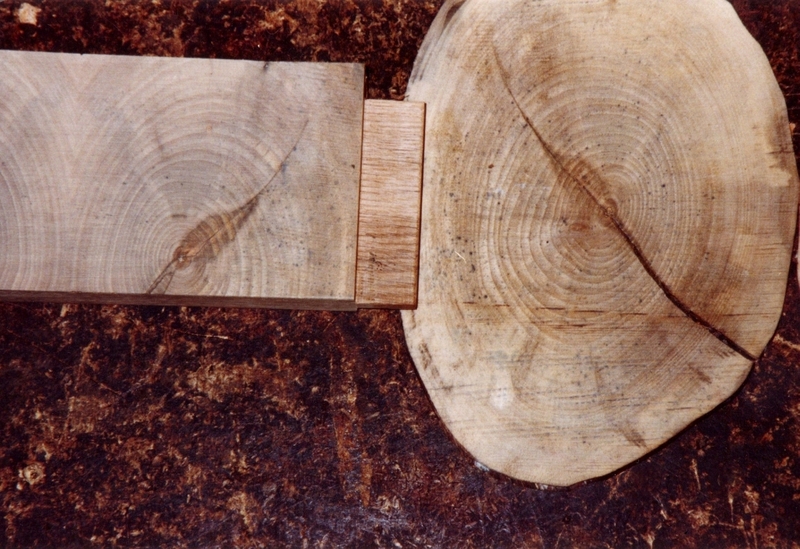 Cross-grain moulding on the edges of the leaves. 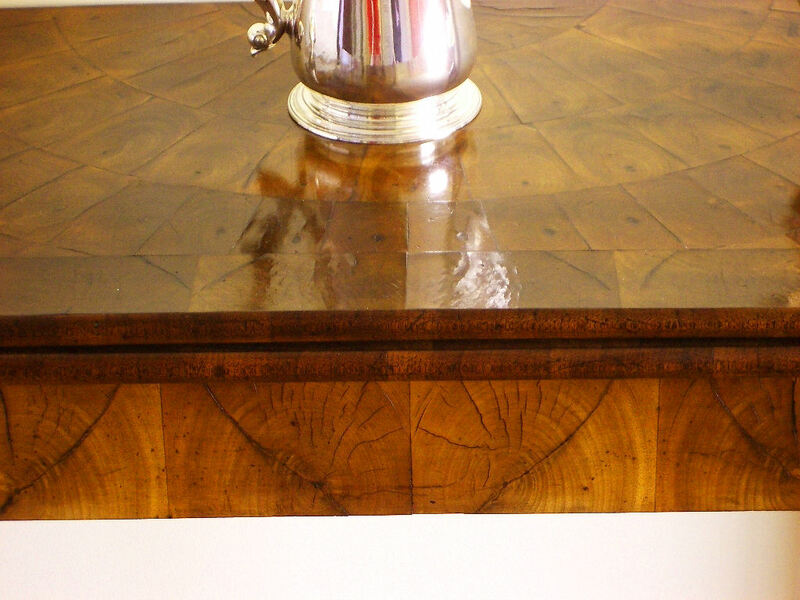 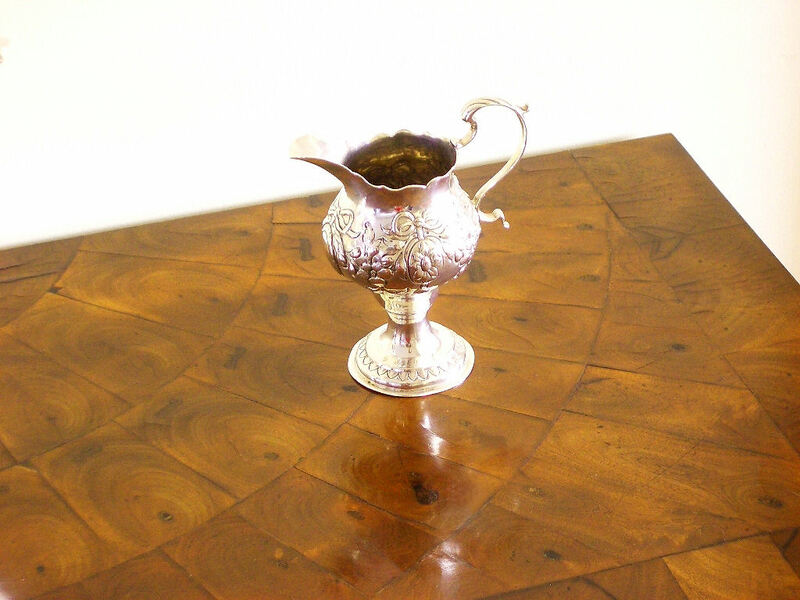 Aged and distressed surface of table top.